Each year we spend Easter with friends, and my job is to bring rolls. Over the years I have brought rolls from various recipes, when I stumbled in 2011 the one that has been declared the winner. 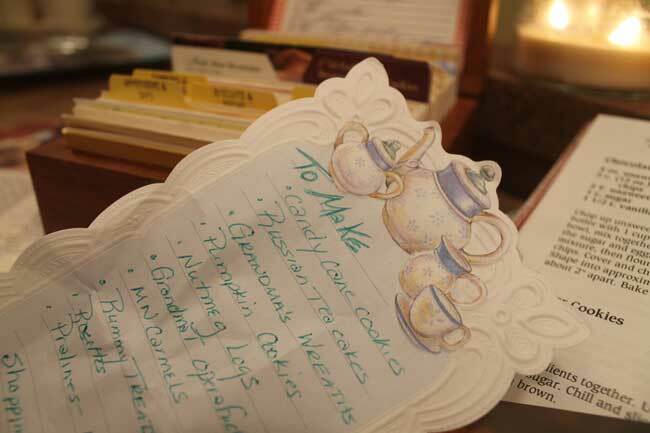 It is based on a recipe I got from the following cookbook: A Montana Table, Recipes from Chico Hot Springs Resort by Seabring Davis. It is a favorite such that when these arrive the women chatting in the kitchen are known to eat these a quarter and a half roll at time. Often by the time the actual brunch time arrives there are only a couple of rolls left These rolls are decant in every manner, but once a year it is OK to make a small indulgence in half a roll. If you fall off the “good” eating wagon, make sure you had something rare, tasty and enjoyed it. Make it worthy of no regrets. 1 1/2 tsp cinnamon ( 1 teaspoon general all purpose cinnamon and 1/2 teaspoon Vietnamese cinnamon) this is a critical secret I am sharing. Set aside about 1/2 cut of flour. In large bowl mix all dry ingredients except that flour you held back. 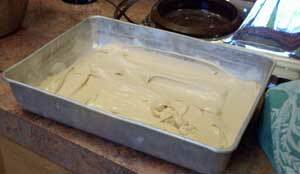 Add yeast mixture and mix well. 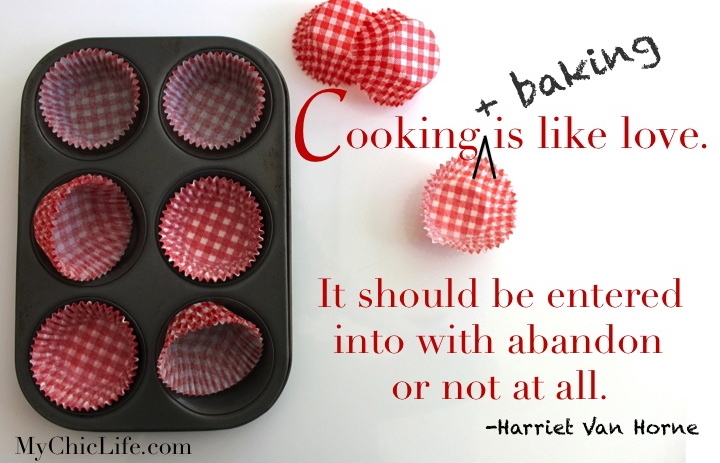 Using your hand add remaining flour until the dough cleans the side of the bowl. 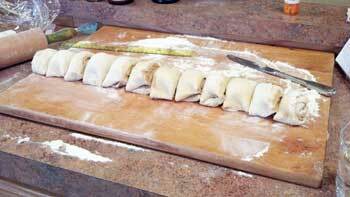 Do NOT add too much flour as it will make your rolls dry and tough. Rub with oil, cover bowl with plastic wrap and towel. Allow to double in size, about 45 minutes. Here is the topping in the pan before I put the rolls on it. This will turn into a caramel topping as the rolls cook in the oven. While the rolls rise make the filling and topping. Mix filling ingredients until like a paste and set aside. Mix topping ingredients with mix-master until it reaches the consistency of a frosting or a cream that will hold its shape when the beaters are removed. Pour into a 9 x 13 pan. 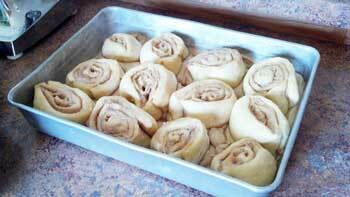 It is a paste of cinnamon, butter, and brown sugar ready to be rolled up in to the spiral of the rolls. 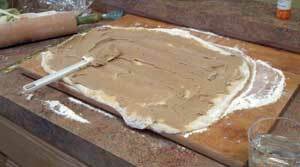 When the dough has risen, dump out onto a floured board. Roll out into a rectangle 18×10 (yes I use a ruler, because you don’t want it to get too thin) Spread with filling. Roll up. Cut into 12 equal pieces. Put pieces into the 9×13 pan. Yes there is a ruler on the bread board. Making sure that the rolls are of uniform size is critical for even cooking. Spray with oil, cover with plastic wrap and towel. Let rise until double in size about an hour. (they should nearly be touching) Bake in preheated oven at 350 about 30-45 minutes. It is about 35 minutes for me in the convection oven. It is important to cover the rolls with oil and plastic to keep the rolls soft and make rising easy. When you remove from oven, immediately flip plan, scraping any sauce left in the pan over the rolls. Allow to cool slightly and serve. 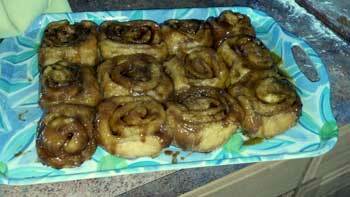 These are for me some of the absolutely best caramel cinnamon roll that I have ever made or ate.